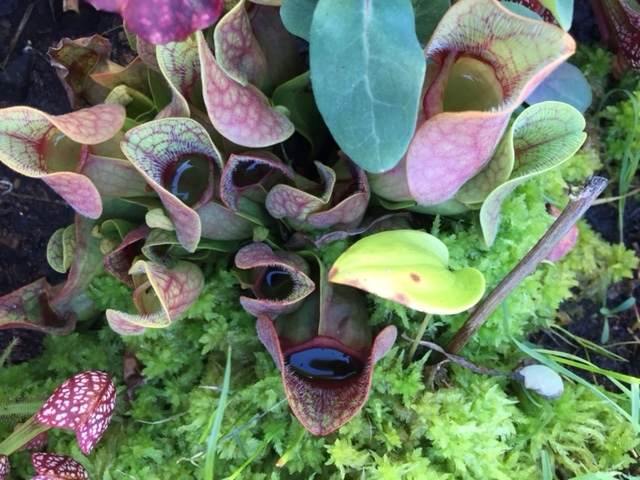 This summer we filled a 50 gallon tub with peat moss and filled it with numerous carnivorous plants to model both these interesting insect-eating plants and the unique bog ecosystem. 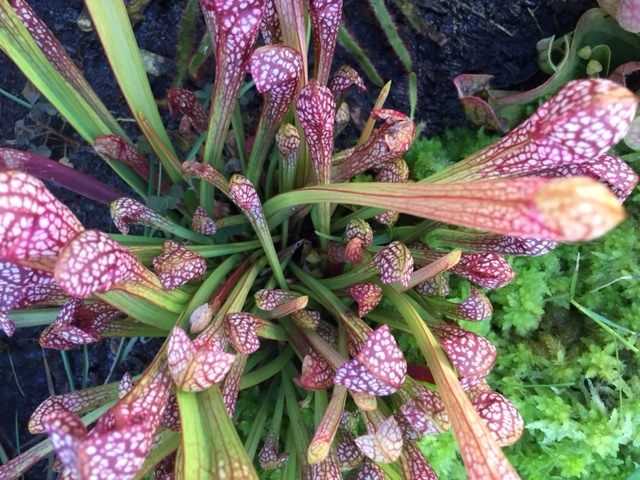 We have brought it inside for the winter, where we hope it will help with insect control. 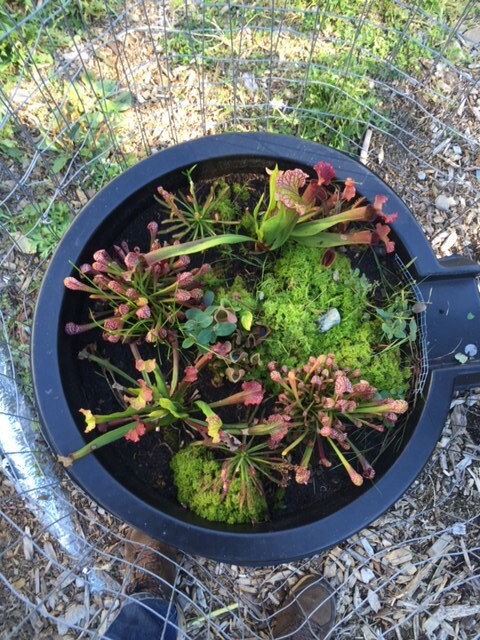 Plants include: pitcher plants, sundew, and venus fly traps, along with a healthy layer of spaghnum moss.